This is a Story about .... Demo, the junkyard dog like the very best fables, has a moral. The extraordinary full page illustrations by Scott Bruns tell the tale, even for pre-school readers. This is a delightfully original story about just what the title says - what an original idea! No, I’m not kidding and when all is said and done, neither is author Jon Bozak. 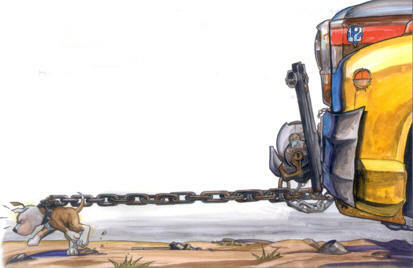 It inspires young and old alike with characters like Demo, Tank, and Junkyard Joe, the villain-turned-hero. This one will be read, re-read, and read-from all over again. 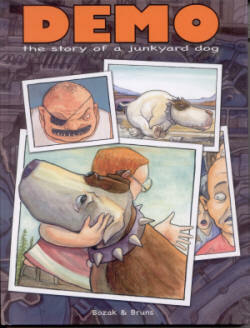 Order your copy of Demo, The Story Of A Junkyard Dog for only $19.13 from Amazon. "I loved it!"